DREAMING TO DRIVE EXOTIC CAR RENTALS IN LOS ANGELES? From Ordinary to Extraordinary, Black & White Has You Covered. Every month, Black & White offers discounted rates on some of your favorite cars. Click here to check out our current specials. Black & White Car Rental is your premier, painstaking choice for cheap, exotic and luxury car rentals in Los Angeles and San Francisco. Black & White was founded in 1994 and is the oldest independently owned Beverly Hills Car Rental Location. Being around for over 20 years has allowed us to build a reputation at our Black & White Rent a Car Beverly Hills, Los Angeles, LAX and San Francisco locations. Our mission at Black & White Car Rental is to provide you with an experience as your exotic car rental redefined. We strive to go above and beyond as the most complete car rental service possible. Whether you are looking for the newest exotic or luxury car rental in Beverly Hills, Los Angeles, San Francisco or to simply rent a cheap car that is more towards your budget that is reliable and safe, our goal is to provide you with any type of car that you are looking for. From the ordinary to extraordinary, we have you covered. From the newest exotic and luxury car rentals to low cost car rentals, we offer the most dynamic and diverse fleet in all of the Los Angeles. Visit our specials page if you are in need of car rental deals Los Angeles, San Francisco, LAX or Beverly Hills. If you are in need to rent cheap, exotic or luxury car rentals in Los Angeles or San Francisco, Take a look at the style of cars we offer and find out what best suits your needs. Looking to visit a Los Angeles, LAX, San Francisco or a Beverly Hills Car Rental location with a budget in mind? Renting a compact car is the top choice for you. Compact car rentals are perfect if you are looking for the option that is cost friendly that still offer an enjoyable ride. Easily have your cheap car rental at LAX or SFO dropped off to you from us, so you can enjoy your trip stress free. Are you unsure about what compact car is the best for you? We understand that there are many compact car rentals in California that you can go with. May we suggest our Mitsubishi Mirage which is a great option for a car rental with good mpg? With an estimated EPA of 37/44, this vehicle is a top choice if you are looking for a car that is conscious with gasoline consumption. A midsize car rental is perfect if you want the same features as a compact with low gas consumption, but with a little more room to spare for any extra luggage you may have. Coming into LA by airport? A midsize is a great budget budget car rental from LAX as it has great storage for your trip when visiting Los Angeles. Thinking about taking a drive from LA to San Francisco? It is one of the best summer road trips in the US and should not be missed! If this is a trip you had in mind, or do now, a midsize car rental is perfect if you are in need of carrying any extra storage for camping or other activities, but still have the ability to cruise consciously with your budget in mind. Our Toyota Corolla is a good car rental for you as it has reliability, safety and extra space for you and your travel. And only need the car for the way up? Don’t worry as we have our convenient location for you to drop off once you arrive in San Francisco. Are you forgetting that a trip to Disneyland was possible when visiting Los Angeles? If this was in your plans with a family during your trip to California, a full size car is something you should consider! A full size car rental offers you the great gas mileage of a compact, the convenient extra storage from a midsize, but with more people in mind! A full size car is able to comfortably seat 4 individuals, or 5 if you don’t mind squeezing in, while still providing safety, reliability, storage and great gas mileage. Although we can’t do much about the traffic when driving in Los Angeles, what we can do for you is to ensure that you are comfortable while sitting in it! A full size car is spacious enough for all passengers during any duration of travel when taking the kids to a theme park or heading to the beach and back. Our Toyota Camry offers you the whole package with a refined style, ample performance and comfort to get you through Los Angeles, San Francisco and everything else California has to offer. Have you asked yourself, “What is considered a premium car rental?” A premium car rental offers performance but doesn’t sacrifice any comfort. Renting a premium car is the best option for you if you have needs such as comfortability, extra space and storage, meanwhile still having performance in mind. We understand being a respected car rental agency that sacrifice is not something most people are looking for when renting a car. A premium car rental is a top choice for people who want to cruise the city streets in style, with having the comfort and ample extra space for your other needs. A premium car rental is not for everyone. It is suitable for the needs of someone who needs the responsibility of space, safety, and storage without compromising the fun of a car with amazing performance. Our Chevrolet Camaro, the original American Muscle car, is just one of our premium cars that offer over 300 horsepower for you to ensure that you have a more than enjoyable drive each time you find yourself behind the wheel. Car Rentals in LA and SF lead the forefront of innovation. Being 2017, Electric cars are now not just an afterthought in the automotive industry. Hybrid and electric vehicles are leading a new forefront of how automobiles can and should be seen. By driving a car that functions without gasoline, people used to expect that you would have to sacrifice many features. We know being in the car industry that this is far from the case. Electric and hybrid cars are on par with gasoline fueled vehicles, if not better in many ways. Electric and hybrid cars produce sustainable travel, or green travel, which is the state of being aware and active towards the economic, environmental, and cultural impact on the Earth. For many people looking for car rentals in Los Angeles, San Francisco or other metropolitan cities, sustainable travel is their number 1 priority when deciding a car for for their vacation or business trip. If you think an electric car rental is for you take a look at this article that offers eco friendly travel tips so you can ensure that you win’t leave any ecological footprint! Looking for the best hybrid to rent? Our Toyota Prius rental is the industry standard hybrid vehicle that is the whole package with safety, storage and yes, performance. In fact, electric vehicles typically provide an ample amount of torque when compared to gasoline fueled vehicles. If you are looking to rent an electric car in Los Angeles or San Francisco to get the full experience of driving in these eco conscious cities, then look no further into renting a Tesla Model 3. A Tesla 60, 70 or P85d offers superior performance and luxury all while maintaining a full electric vehicle. Driving a Tesla is an experience like no other, so the next time you see a sign stating for you to “rent a Lamborghini for a day”, we dare you to test the true ability and have an experience like no other in a Tesla for a day. Driving from San Francisco to Los Angeles down the coast of California is a right of passage when visiting. Once you arrive in LA, you may find that there are many Ford Mustang Convertibles, and for good reason. If you have yet to experience LA in a convertible then you are sorely missing out. Renting a convertible in Los Angeles is a right of passage when visiting as there is no other way to enjoy the beautiful weather in LA than to be driving down Sunset BLVD in a drop top on the way to beach. If you happen to have even more time, then a road trip from San Francisco to LA may be one of the most scenic drives in America. Find yourself interweaving between Highway 101 and PCH with the sunshine along the drive. There really is no dull moment when driving down the coast of California, and doing it in a convertible is the only way for you to get the full experience. May we suggest renting a Ford Mustang GT for an uplifting ride ? Having the extra ponies really does make the difference, at least we think so. Why not try, or drive, for yourself? Or if you are more wanting a breathtaking miracle to happen, then you need a Chevrolet corvette rental, with no substitution. Luxury Car Rent in La is a right of passage and this is where Black & White Car Rental shines. This is how we got our start and where we take our pride in the most. Needless to say, B&W is the oldest and most respected place for luxury rental cars in LA, and now SF. We have rented to all types of individuals from celebrities (we won’t say who) to high profile clients and people who are looking for a comfortable stay in Los Angeles for their full duration. Try the new Mercedes-Benz CLA 250 to experience Los Angeles in the most relaxing way possible. 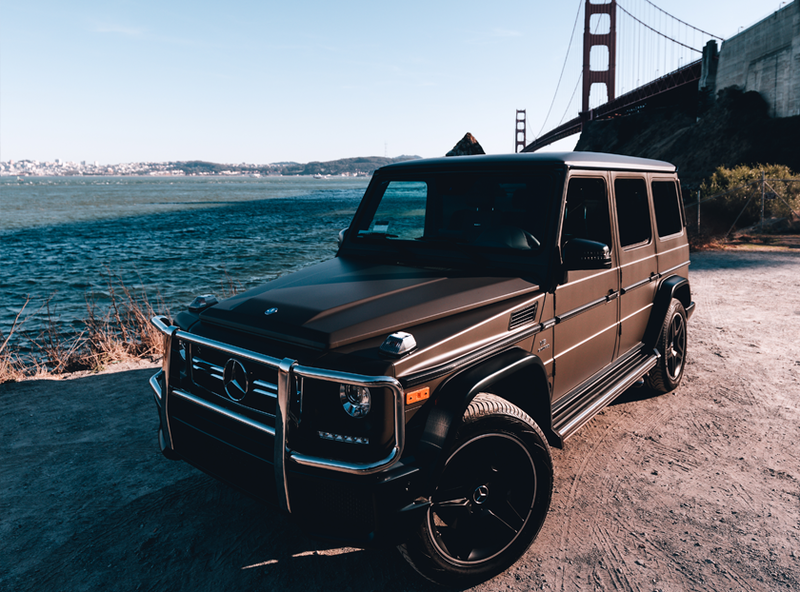 Luxury cars are the way to go when you are in need for comfortability during your visit to LA or SF, as we know both of these cities can be quite stressful, especially with traffic or parking! Rent a luxury car for your stay and we can confidently say that you will not regret it. Come pick up your dream car at our Beverly Hills Car Rental location today! Maybe you’re not the comfortable type, maybe you’re not the flashy type, maybe you are simply looking for a thrill in Los Angeles. If this sounds like you, then look no further than to rent a high performance car. Although we hold no responsibility for what happens once we hand you the keys, we know being in the industry for some time that it is a special type of person who enjoys high performance vehicles. A high performance car says that you enjoy the thrill and adventure of new experience, but don’t care enough to be seen in a flashy exotic vehicle. In many ways, you could say renting a high performance car is humbling? Or it could be just our way of validating someone on getting their hands behind the wheel of a whole different excitement. Our top choice for high performing cars? We would go with no other than to rent a BMW M4 Convertible for the complete sports car rental experience. This Car provides the thrill of a 4 liter 8 cylinder engine with over 400 horsepower, meanwhile having a luxurious interior to hold you through the curves of Mulholland Drive. Are you taking a trip with more than 4 people in mind? Don’t worry, we have you covered. Whether you need a full size, 8 passenger or a luxury SUV rental in Los Angeles, we have the solution for you. We have SUV and van rentals for every style you can be looking for. If you need to rent a van in Los Angeles for a way to transport 15 passengers or your whole “clan” then take a look at a Ford Transit 350 XLT. Are you more of the type to want to go off the beaten path? Do you enjoy being outdoors more than indoors? Does being inside too long feel like shackles to you? If this sounds like you, then rent a Jeep Wrangler in Los Angeles and take a trip out to experience camping in Southern California. Want something more along the lines for comfortable cruising on the streets with the family? Then you are not alone and will find solace when you rent a Range Rover in Los Angeles. Exotic Car Rentals in Los Angeles: The Answer for What is your Dream Car? Looking for a California sports car rental? You need to rent exotic cars. Say that three times to get it stuck in your head that by renting an exotic car, you will experience something like no other. Driving an exotic vehicle is blissful, breathtaking and an experience all on it’s own. Now we are not saying owning an exotic car and renting a Lamborghini for a day or a week is the same thing. Why deal with the maintenance, two seats and the high price tag when you can experience the same feeling without the stress? The typical and expected Lamborghini rental can provide you with the antidote that you need. So when you are visiting LA or SF and need to get something out of your system, look no further than to again, rent exotic cars. Take a look at the fleet of exotic cars we offer as each provides their own diverse type of ride. Looking for a ride that is sustainable travel friendly? Find yourself in a Lamborghini Urus Rental. If you want a car rental that is the definition of comfortable and smooth inside and out, a Rolls Royce Ghost or Bentley GTC will be your exotic rental. And lastly, if you want an all out experience that offers a thrill in every way, a Ferrari Portofino or Lamborghini rental, so you can rent Lamborghini California style. With amazing weather, restaurants and amusement parks, LA has many so much for you to explore! If you happen to fall in love with your rental, no worries, they’re for sale! NEED A QUOTE FOR CAR RENTALS IN LOS ANGELES OR SAN FRANCISCO? A Representative will review your quote request and will send you a price quote within 24 hours. Minimum 3 day rental to qualify.